These days, bringing your dog to work is a pretty common situation. If your dog is a chill sort, it’s totally cool if they come with you to the office — and if they’re adorable, they’re sure to delight and entertain your coworkers in the process. But in this office, the staff decided to take it one step further than the norm when their boss brought his adorable dog to work. Instead of just petting it and spoiling the hell out of it with treats, they decided to start reenacting movie scenes — only this time, the dog was in the leading role. From old classics like The Graduate and 16 Candles, to newer, more controversial films like Brokeback Mountain, this dog has basically been the star of an entire career’s worth of films — and all in a day’s work. See the hilarious scene stills below. This dog should be headed for an Academy Award any day now. This was a very climactic scene in Spiderman. Somehow, the photo with the dog seems more romantic — despite the fact that the kiss probably wasn’t that great. They reenacted this romantic scene from Brokeback Mountain. Luckily, this guy and his dog aren’t quite as doomed as the cowboy couple in the film. 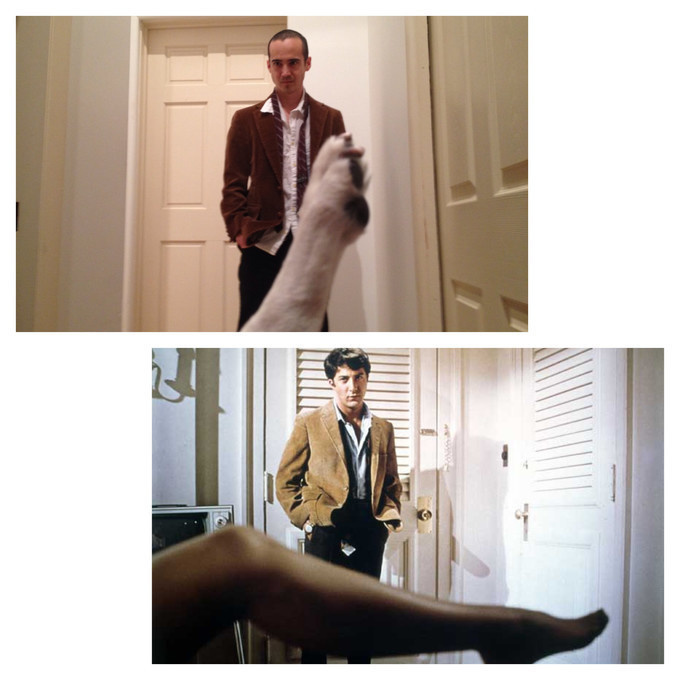 What would a photo reenactment series be without an homage to The Graduate? Somehow, the puppy paw feels less seductive. 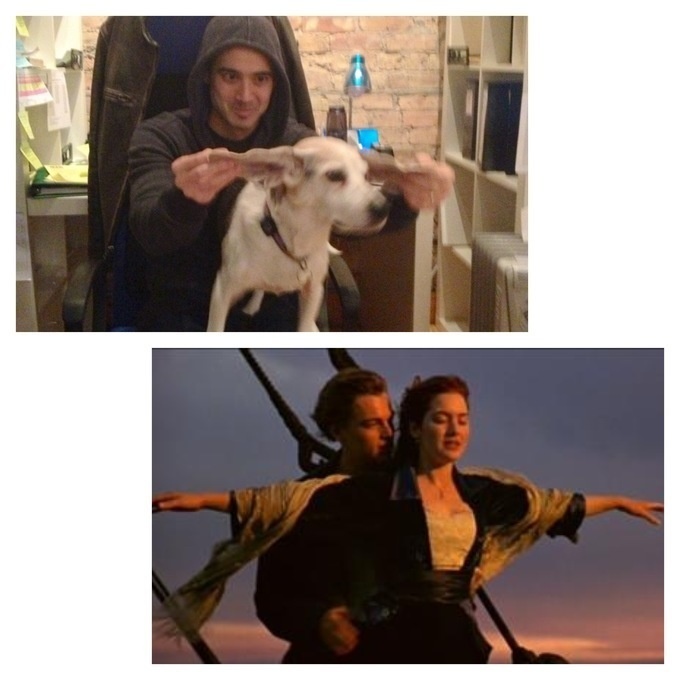 Rose might have told Jack to “never let go,” but something tells us this dog would prefer it if his human let go. 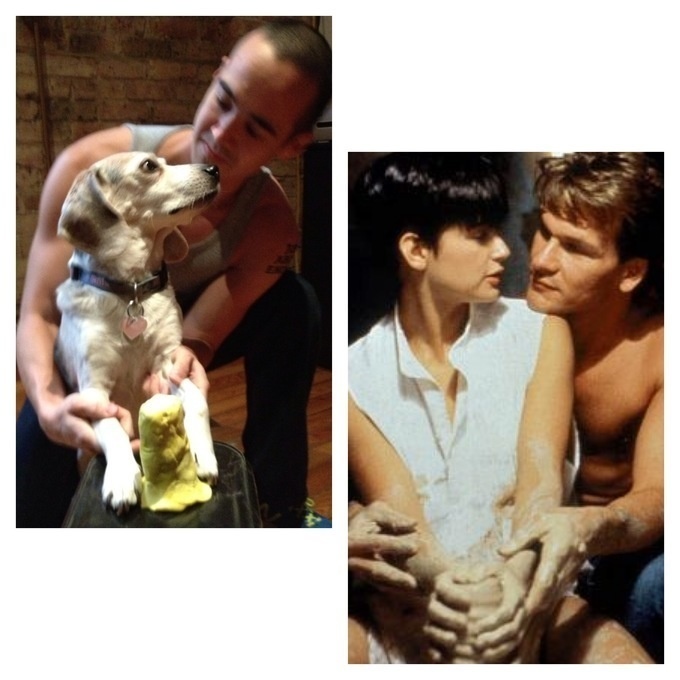 This was a sensual scene in Ghost, but seeing a puppy play with clay is definitely more entertaining. 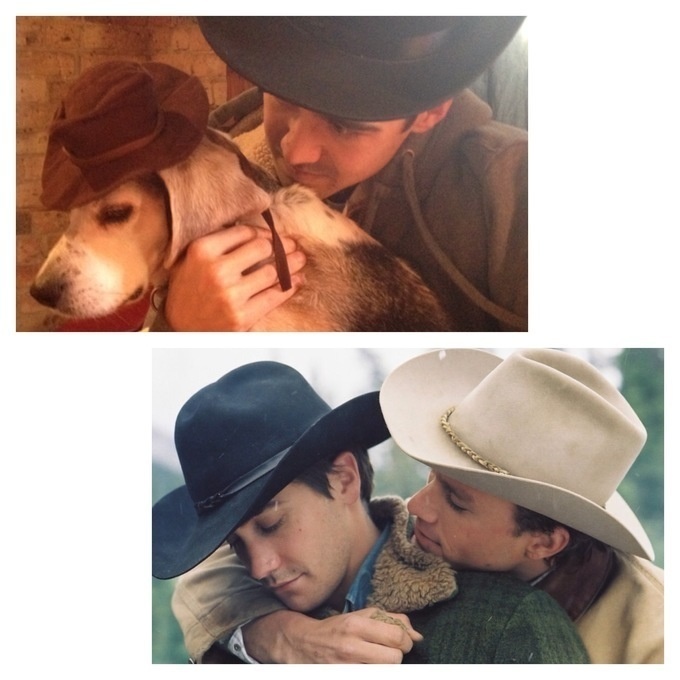 This dog and his human aren’t afraid to let things get a little sensual when it comes to their reenactments, either. 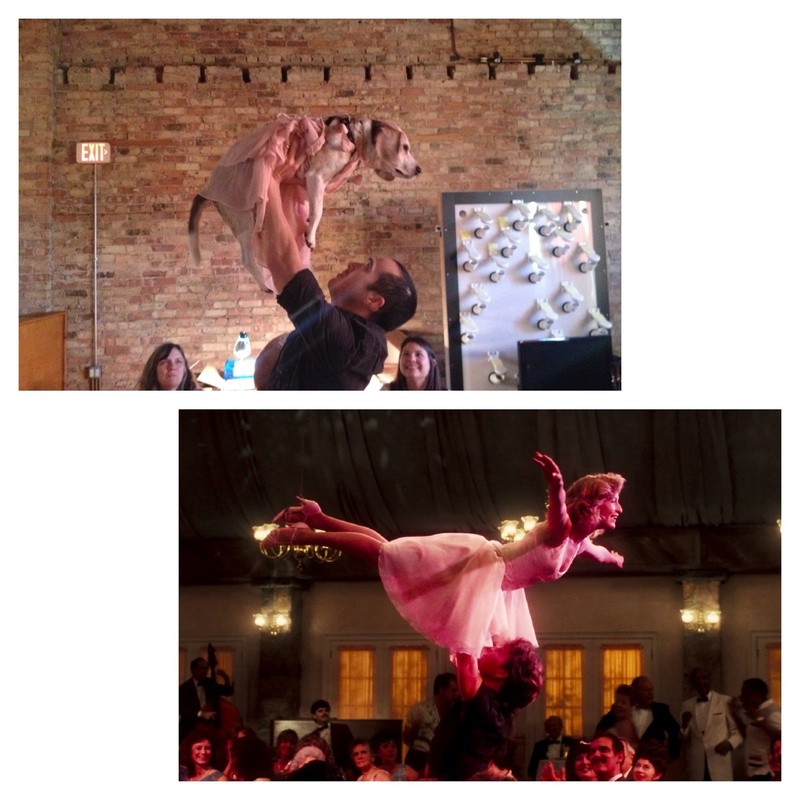 Patrick Swayze and Jennifer Grey may have had the time of their lives in Dirty Dancing, but something tells us that the reenactment, puppy-style, was a lot more fun. 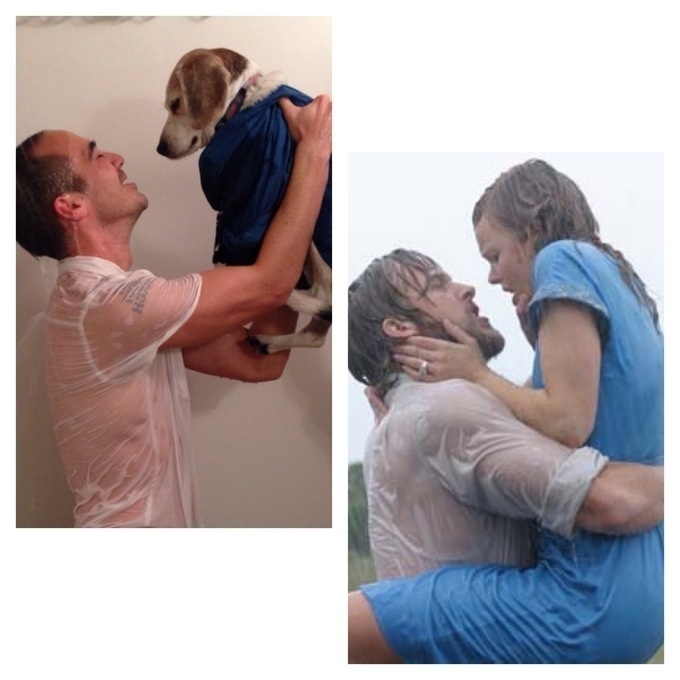 Finally, we are treated to this recreation from the most intense scene in The Notebook. That dude is no Ryan Gosling, but the puppy sure does make an excellent heroine, don’t you think?